As a field test for future applications in the oil and gas industry, Ambient Water (formerly AWG International) announced today that it will install an Ambient Water 400 atmospheric water generator at Applied Cryo Technologies’ Houston facility. 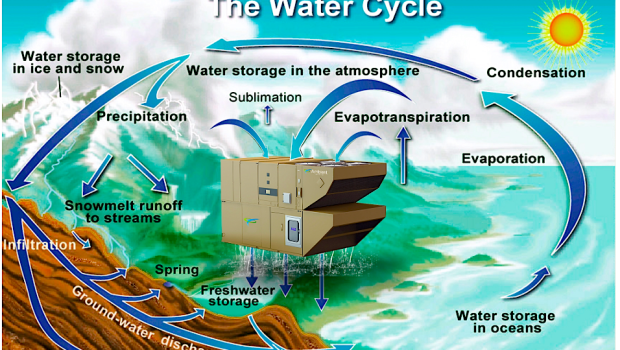 Scalable and modular, the patented Ambient Water system cost-effectively extracts water from humidity in the air. Applied Cryo offers a variety of cryogenic storage, regasification, and transportation equipment to store and distribute liquid natural gas, liquid nitrogen, liquid oxygen, and liquid argon. An industry pioneer, Ambient Water will use the system installed at Applied Cryo to monitor both the amount of water generated under prevailing atmospheric conditions and the power consumed by the system itself. An independent engineering firm will validate the results. As we all know, the oil and gas industry is extremely water-intensive. 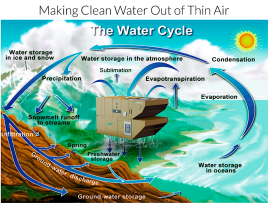 Ambient Water will develop a customized large-scale system that can produce clean water direct from the air for use in fracking operations. The Ambient Water 20K will reduce the petroleum industry’s draw on municipal water supplies and enable more cost-effective and sustainable energy production. Vertical farming is another application. To learn more about Ambient Water, visit its website. 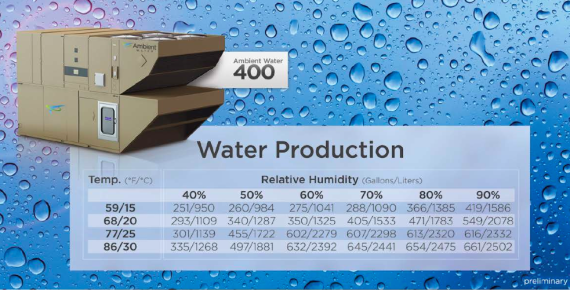 And for a full downloadable list of features and specifications of the Ambient Water 400, link here.